A soft grey gradient – beautiful! I’ve been feeling a hankering (lol sorry) to learn to spin lately, but I fear my character is not yet sufficiently developed to withstand the time it takes to get good at it. Plus I need to do some major decluttering if there’s ever going to be room for a spinning wheel in this house. Thanks for the suggestion! I’ll see if I can track the book down. And a spindle is SUPER portable, as a bonus! Plus of course fits on a shelf, unlike a wheel…the principles of spinning are very accessible to learn with a spindle, and then transfer to a wheel IF you ever decide to go that way. It is stunning how much and how well you can do with a good, well-balanced spindle. Have fun! So lovely! Happy for you! Glad the yarn turned out to your liking. Knitting it up should be fun. Go you. I went quickly to see what magical pattern was worthy of this yarn! I had it in my favorite list already! I can’t wait to see your final shawl. And, I totally get the grey… there is grey, and there is silvery yumminess. Enjoy! Still curious what the original plan was….. 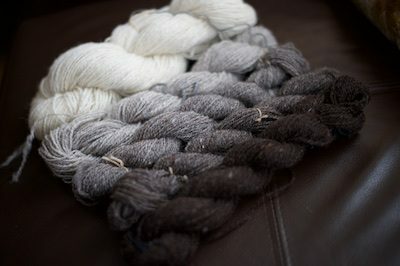 I can’t resist mini skein gradients, especially in those lovely greys. The shawl will be lovely. 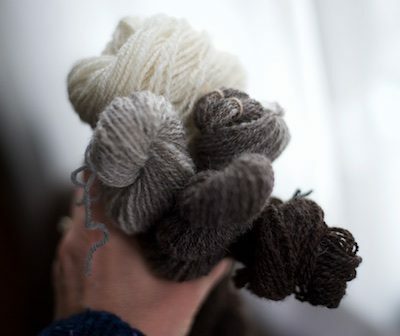 Let’s face it, there’s a huge difference between ordinary mass-produced gray and the glorious results of your own spinning. Go for it, girl! You said it better than I did and exactly at the same time as I pressed send! I love it! There’s grey and then there’s GREY. That’s natural, sheepy grey, and it complements nature instead of flinging winter into your face like an insult. It will be gorgeous, and reconcile you to the winter months. Enjoy the process, and I can’t wait to see how it turns out!!! That gradient is gorgeous – the white especially looks like a little cloud on the end of that row! Its going to look really great! Can’t wait to see it. I look forward to what becomes of those purdy little skeins. Absolutely stunned by your spinning skills, and can’t wait to see what you end up with. You’ve put me in the mood to knit (not spin) a gradient version of the Wheatsheaves Scarf. I’ve been thinking about it for ages, but something else keeps getting in the way. Absolutely gorgeous colours! You can’t go wrong with a beautiful Jacob fleece no matter the size. It will be gorgeous! The skeins look great — but, what happened on the trip to the yarn store? Were they sold out of everything but olive drab, fluorescent orange, and Joe’s favorite shade of black? Oh! Dying to know what the original plan was! Love love love those skeins. I wish I could smell and feel those skeins of yours. Sigh. They are so beautiful. Are you a yarn sniffer too, like I am? LOL My mum used to get oily aran yarn from Ireland and I will never forget how it smelled. Ohhhh! Those are so bouncy looking and lovely. I’m absolutely positive you’ll have this knit up in far less than 3 weeks. I also know for a fact that you and Judith and I will all be in the very same place in early March and that means the Jacob shawl will be there too! So thrilled to see it transformed from fleece to masterpiece! Surely those are shades of creamy brown, not grey, right? Gosh, those skeins really are beautiful. 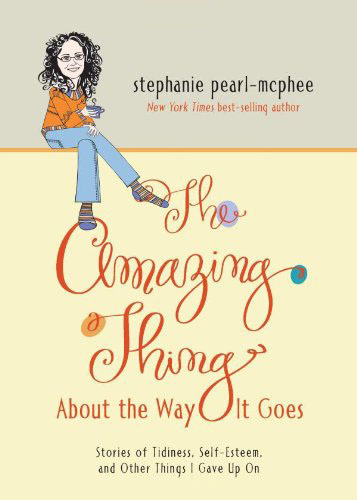 Good pattern choice, too (Great Words: “Shawl hunts can be epic.”) You’re going to love knitting with that yarn. 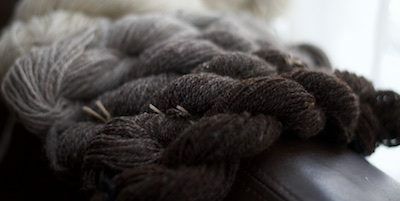 Handspun, grey or otherwise, is always a joy. I’m so glad to see you enjoying this process. So will you start with the dark and work towards the light, or start with light and work the other way? The yarn is lovely, can’t wait to see it in progress! I believe your rule about not knitting anything gray during these winter months applied to socks… this is definitely NOT SOCKS!! Seriously though, I’m not a spinner but your post about this fleece makes me want to rethink that!! I looked up the shawl pattern–it’s beautiful. Today my weekly knitting group has been cancelled due to freezing rain in this part of Ontario, so I will be sitting at home starting sock number two for my son, in gray. At least I can enjoy a slice of the banana bread I baked for the group. That will help with the gray-ness, both on the needles and outside the window. Your fleece is exquisite, and your spinning is amazing. Good golly thank you for posting that! I am still grinning. I was aiming to simply insert a photo of the gansey fleece, but apparently that’s not doable. :snort: I was waiting for this. I understand the love. Very delicious to look at and I imagine even more to squish and squoosh. I looked up the pattern. Very pretty! I especially liked the version that started with a lighter shade at the neck and moved to the darkest shade and then finished with the lightest shade on the bottom edge. Your yarn would look great in that version. Actually, it will look good however you knit it. And speaking of perfection … I totally agree that thou shalt not mess around with grey (or gray, either one) during the winter, winter in Canada that is. If you go to Mexico you get a pass. Your new collection of gorgeousness, however, is not grey, it’s not even close, it’s just perfection. I was wondering what happened to bring a shawl pattern published in 2010 up to the top spot in “Hot Right Now” on the Ravelry site. I should have guessed! Such a lovely idea. I have a jacob fleece… I used to have actual jacob sheep but they have passed on from old age. Try the Holden shawl. It is really nice and should fit within your yardage parameters. Oh! The pattern you chose is absolutely stunning, and you make me wish that I could spin so that I could search for a Jacob of my own. Someday! I can’t wait to see the finished shawl! You do such lovely lace work. The No Grey rule can’t possibly apply if spinning it makes you imagine the wee little lamb frolicking in the warm yellow sunshine in a bright green meadow. Oh, those colors are sublime! I love the patterns that you choose. I bet your post will increase the sales of that lovely shawl. How exciting for the designer. It looks like a relaxing knit. Can’t wait to see the finished product. That shawl is going to be epic in that beautiful yarn. Enjoy it! Grey-dient. How did you miss grey-dient?? Sometimes, I think the gray can work in winter if it charms your socks off, which this does. I can’t wait to see how it works up for you. Grey in winter is permitted when it becomes something Harlot magical, like a shawl. It’s quiet, soft, gentle and maybe cuddly which are all good for wintery Canadien weather. Knit on.